Scheda: Nazione: Bulgaria - Produzione: Boyana Film - Distribuzione: Antonio Francesch Sanchez - Soggetto: dal romanzo Tleeshta zharava di Evgeni Konstantinov - Sceneggiatura: Nikola Valchev - Fotografia: Konstantin Yanakiev - Montaggio: Tsvetana Tomova - Scenografia: Belin Belev, Randyo Randev - Costumi: Milka Nacheva - Musiche: Boyan Ikonomov - Effetti speciali: Simeon Simeonov, Stoyan Kyosovski - Formato: Color - Durata: 86'. Cast: Bogomil Simeonov, Ginka Stancheva, Tzvyatko Nikolov, Ivan Bratanov, Trifon Dzhonev, Luna Davidova, Encho Tagarov, Nikola Uzunov, Stefan Dimitrov, Yordan Spasov, Nikola Dadov, Mikhail Mikhajlov, Nikolay Doychev. 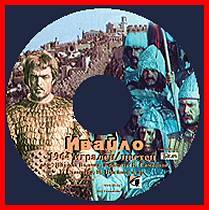 Plot Summary, Synopsis, Review: IMDb - bulgaria.com: «In the last days of Ivan Assen's rule, the threat of a Tartar invasion loomed over Bulgaria. His underage sons Koloman and Mihail II Assen, from his first and second marriage respectively, ascended the throne one after the other, and failed to repulse the Tartar onslaught from the north. With internal peace shattered by boyars' unrest, the hard-gained prosperity of Ivan Assen II was dwindling quickly. The Nicean Empire occupied lands in Macedonia and the Rhodopes. The Comnenus family took away Epirus and Albania, while the Hungarian king seized Belgrade and Branichevo. 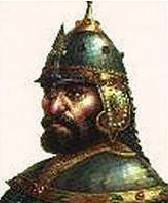 In 1257 internecine strifes brought to the throne Konstantin Tih, a boyar from Skopje. He was a mediocre ruler, unable to save the state. The Byzantine Empire, restored in 1261, seized a number of towns in Thrace and...». Conosciuto anche con i titoli: Ivailo the Great; Ivailo el Libertador.